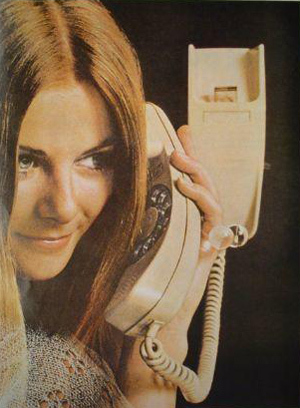 The Trimline, like the Princess phone, was one of the Bell System's best marketing innovations. First introduced in 1965, the idea was to create a stylish, easier to use telephone. A huge success, the Trimline was copied by most other major telephone manufacturers. The Trimline's dial was located in the handset itself with the ringer and electronics inside the telephone's base. The base was made in two variations: one for a desk set and the other for wall mounting. Countless variations in colors and features. Desk and wall models. Rotary and push-button dial.